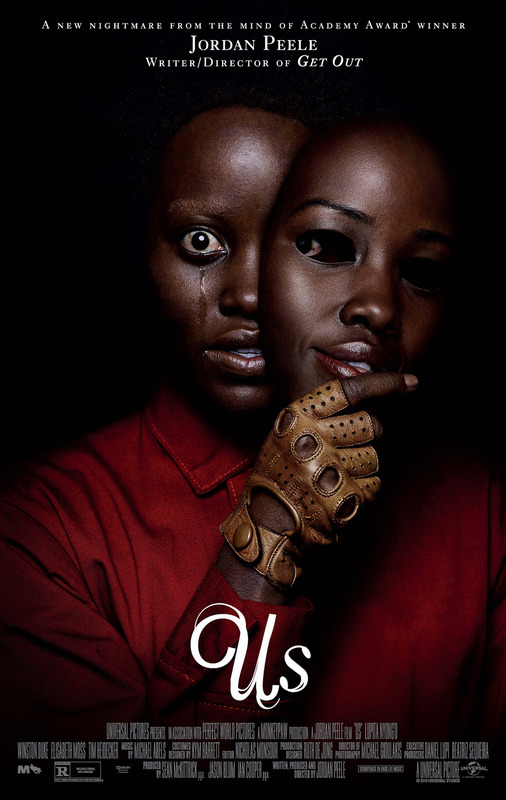 No, not the overrated NBC “drama.” This is Us: the next movie from Jordan Peele. 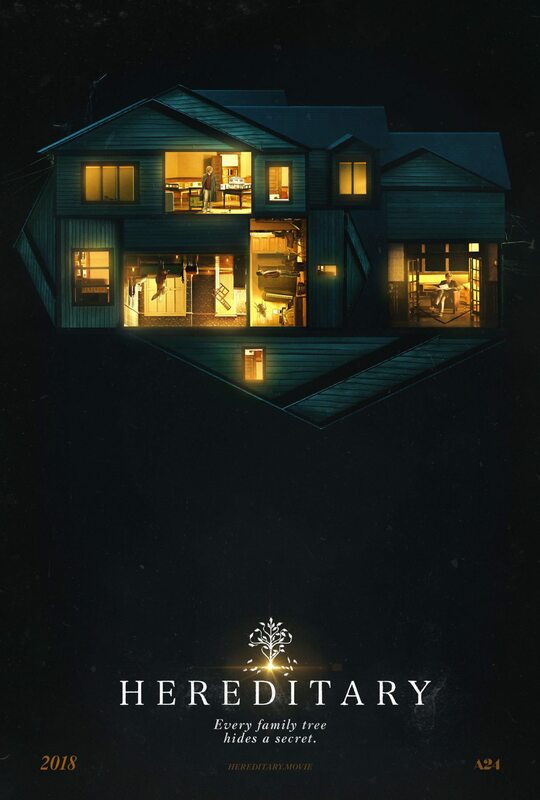 The trailer caused me to think this (Us) would be a twist on other home invasion films such as The Strangers, Funny Games, The Last House on the Left etc. — and certainly that element is a factor. The same trailer gave me pause that I would be kept from sleeping. Not so much: Us was a disappointment, and did not get under my skin. It did not mark, as I had hoped, a narrative progression vis-à-vis Get Out. No, this is a distinct regression in all ways compared to the film tied for first place of 2017. Peele had a concept with Get Out that was fresh and thrilling; that level of concept was not to be found in Us. 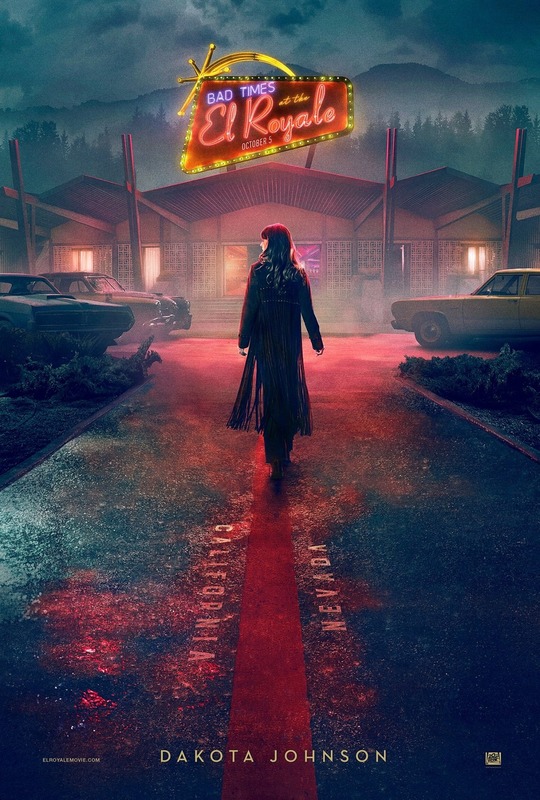 There are several new ideas here, but essentially we’re talking about a zombie – doppelgänger re-hash mash-up pic that makes you appreciate how much better David Lynch handles this kind of material. Fighting with My Family may have heart, but the mind and the soul are nowhere to be found. It’s a yawner, both pedestrian and trite, obviously designed as an extended promotional video for WWE. 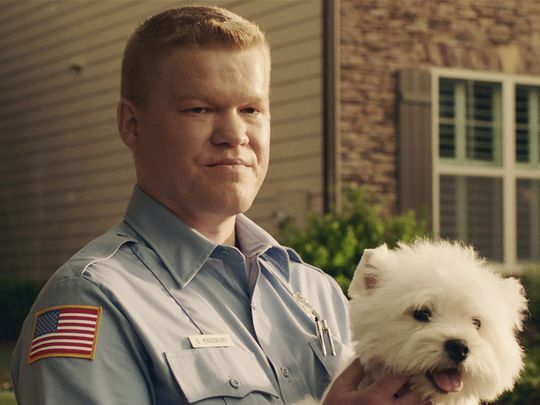 The movie is handicapped from the outset by being based on a true story — normally a good thing — which by all appearances is itself not particularly interesting. One wonders whether a documentary on the subject would have been even less compelling. Certainly, embellishment of the story via more adept filmmaking would have resulted in an improved product. The film’s star, Florence Pugh, is good, of course, but she was a lot more interesting in Lady Macbeth. And despite her performance, the whole thing felt artificial. I never felt like “Paige” had nowhere else to turn. A far cry from The Wrestler, or even Patti Cake$. Her claimed passion was not conveyed. 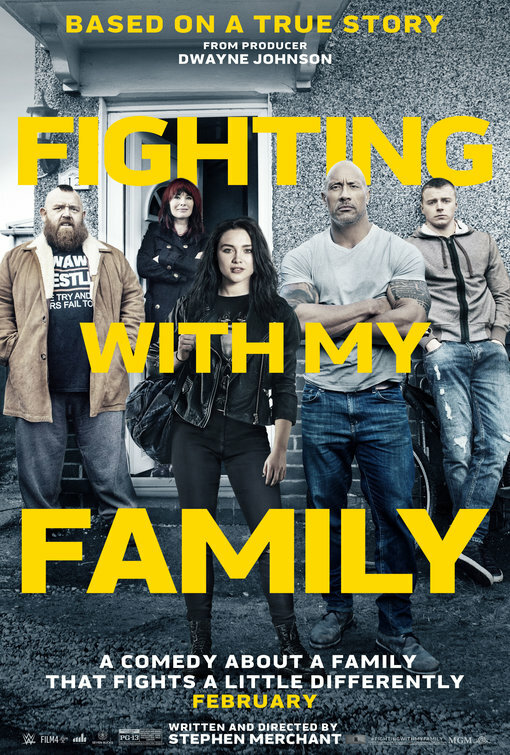 PS on RT: Fighting with My Family has a preposterous Rotten Tomatoes score of 92%. So — another broken meter incident. 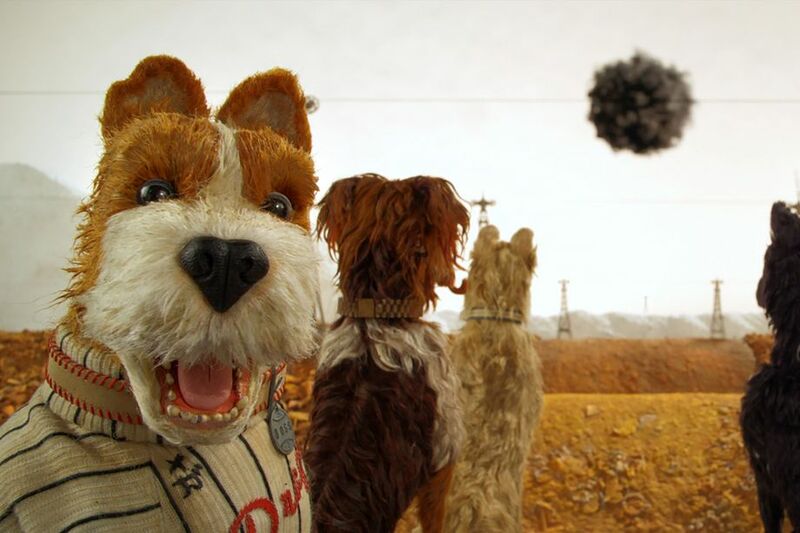 Anyone who thinks this is a good movie should not be wasting their time looking at my blog. And they should definitely not be a movie critic, professional or otherwise. 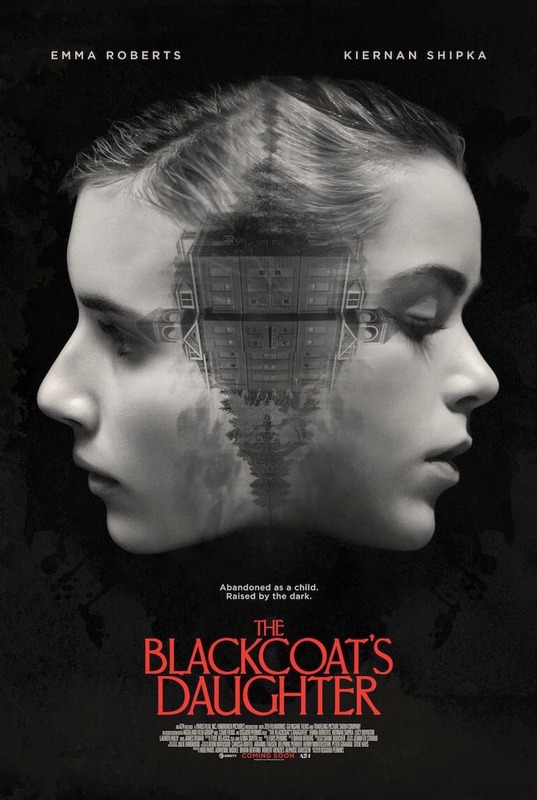 By far the best thing about The Blackcoat’s Daughter, which I heard about during a brief theatrical appearance while I was in Grand Junction in 2017, is the poster above. Haphazard nonsense mixed together by time shifts and flashbacks do not a good movie make. The Blackcoat’s Daughter serves as another case in point for the weakness of nonlinear storytelling. 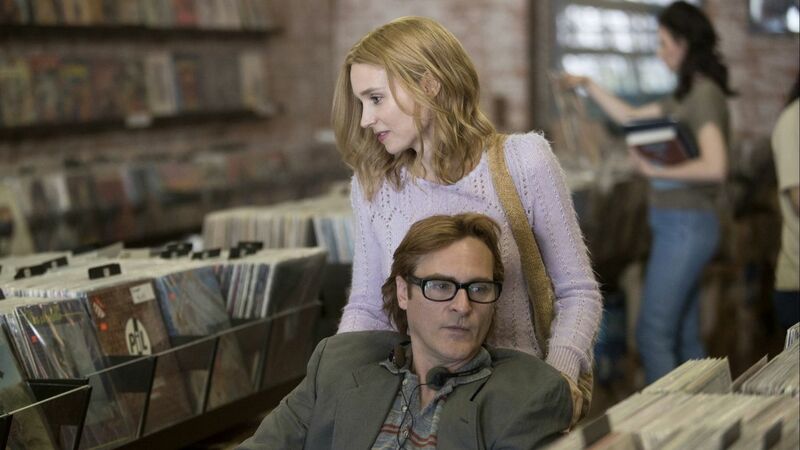 That weakness, more often than not: a very skimpy story at the film’s heart. Lynch talked about the “language of cinema” — but in Lynch’s case, that language still paints a beautiful story. Lesser filmmakers, with little tale to tell, attempt to rely on that language, broken though it may be, to stand on its own. To compensate for lack of story. So I keep beating the drum: without the spine of story, no movie can stand. Reenactments in documentary film need to be done carefully without looking like a cheesy TV production — or omitted altogether. Errol Morris set a standard for the former in The Thin Blue Line, and Ken Burns for the latter. 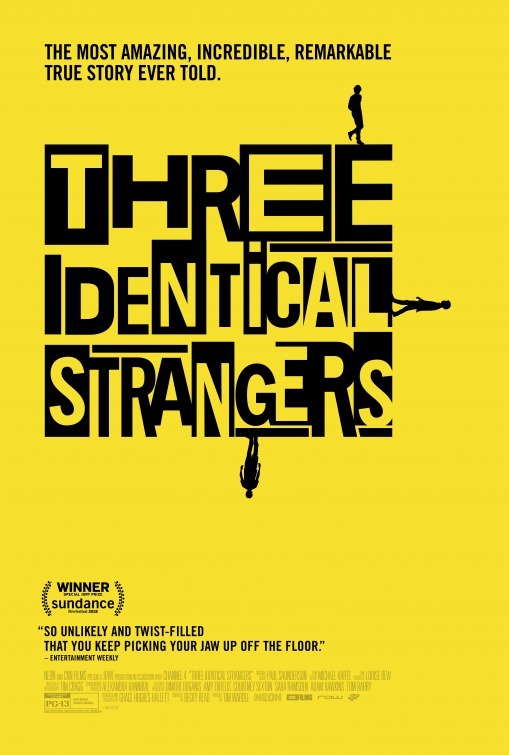 Three Identical Strangers misses the mark and would better have left them out. Which points to the weakness in the film — I think better documentarians might have presented the material more poignantly. Still, the content here is powerful and profound. 7/10; sandwich between Crazy Rich Asians and Thoroughbreds on the 2018 List. Annihilation — 4/10. 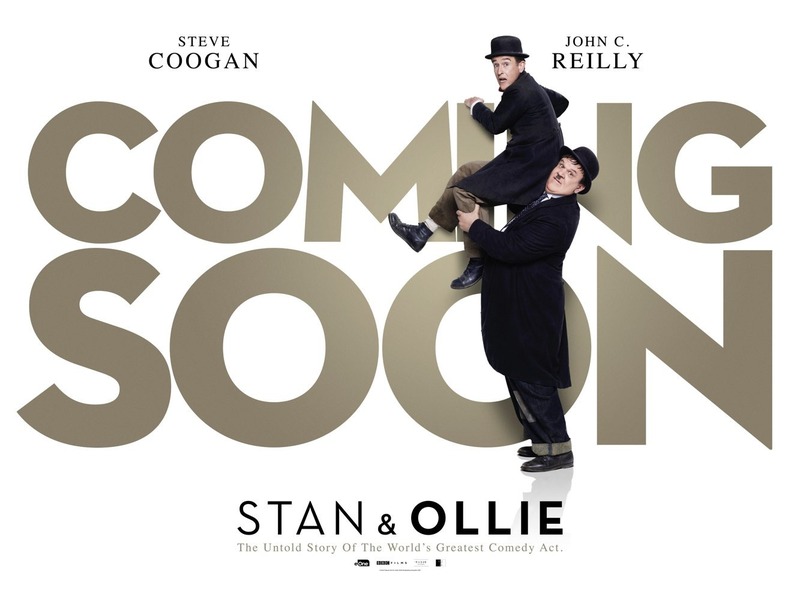 I’m amused how this highly touted and highly hyped film has already been utterly forgotten. End Note (in 3 parts): Yup, Top 3. Those are the only films of note this year, the only ones that come this time next year I will remember with a fond heart. Special mention to Upgrade, a surprise entertainment — I almost fashioned a Top 4, but that just didn’t have a ring to it. Obviously, I have to choose the best prospects of the movies which are released in any given year. So maybe I’m just missing out. Maybe 2018 was a better year for films than I am realizing. Maybe Bohemian Rhapsody and Mary Poppins are really that good. Maybe I’d like If Beale Street Could Talk, but I’ll probably never find out. 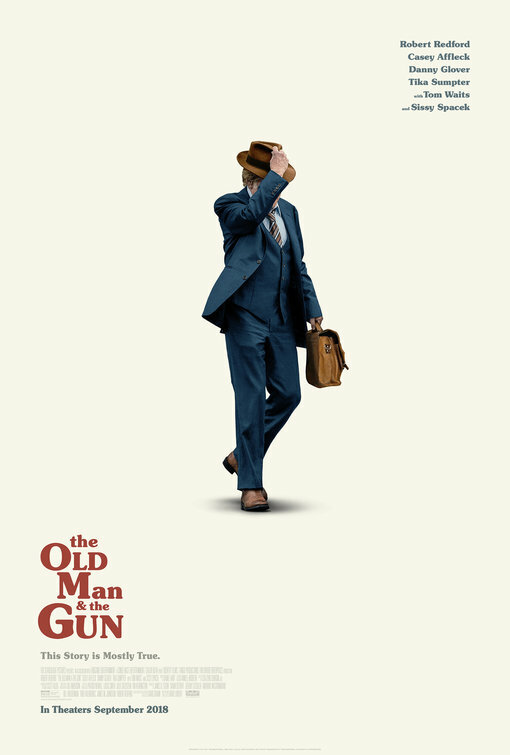 Maybe Green Book or Vice — but I just have zero desire to see any psuedopolitical movies. The real politics we are dealing with are much more compelling. 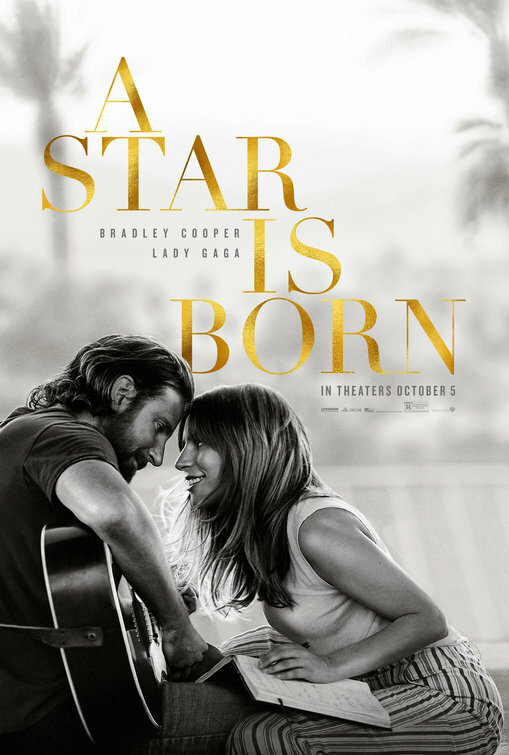 It’s hard not to think that the down-swing of films this year is connected to the explosion of television VOD. But then, that didn’t hurt 2017. 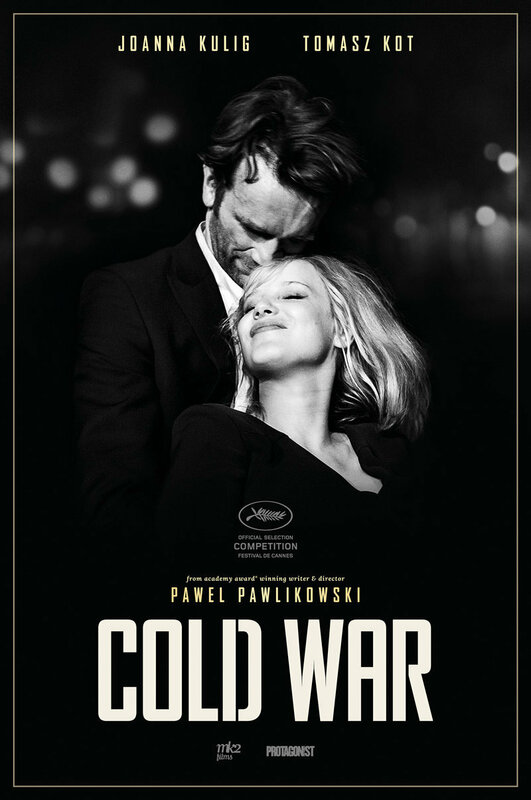 I went into Cold War hoping to receive some limited salvation from this abysmal year in movies at the hand of Paweł Pawlikowski, the director of Ida, one of the best movies of the last 10 years. Something, maybe, to eke out at least a Top 5 of 2018. No such luck. The problem is that despite the magnetism of the femme fatale Joanna Kulig, the movie is a narrative jumble, especially in the latter half as transitions from one stage to the next seem unfounded and disingenuous. I wasn’t entirely buying the love story at the heart of the movie either — the chemistry did not work 100%. For all the narrative issues, I blame Amazon, not the director. Bezos didn’t stick his fingers in Ida, and the result was a lot better.